Use the form below to inquire about Scenic Plantation House At Pathumuri . Use the form below to reserve for Scenic Plantation House At Pathumuri . 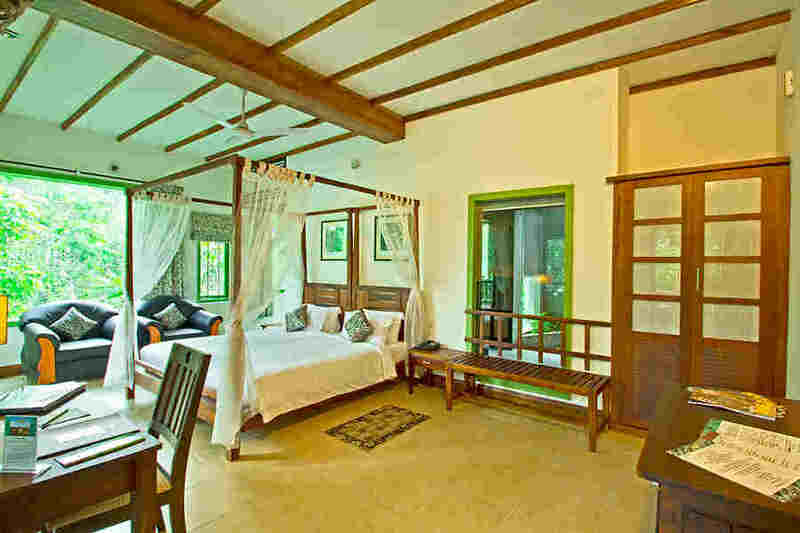 This is a spacious room with a king size bed, writing desk, and private verandah. 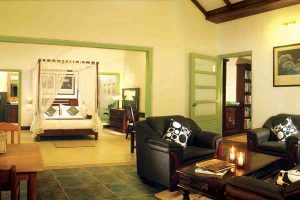 The Suites have a separate living room, spacious bedroom with king size beds, dining table, private verandahs and separate seating areas. These Villas have a private deck with a pool and are surrounded by lush tropical gardens. The bedroom has a king size bed. Children below 12 are not allowed in these villas. This is a private villa connected by a private walkway. 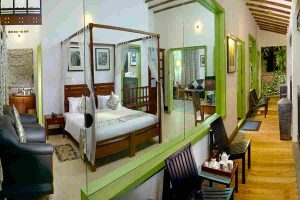 There is a spacious bedroom with a king size bed, a separate living room, and an attached verandah. 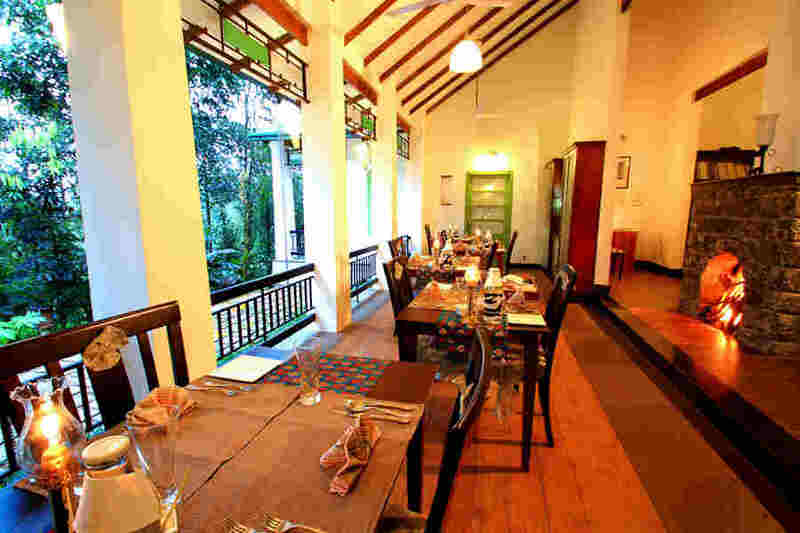 Let go of all stress at this Scenic Plantation House At Pathumuri, amidst spices and stunning scenic vistas of Thekkady. At this property, modern comforts are offered wrapped in a traditional setting. 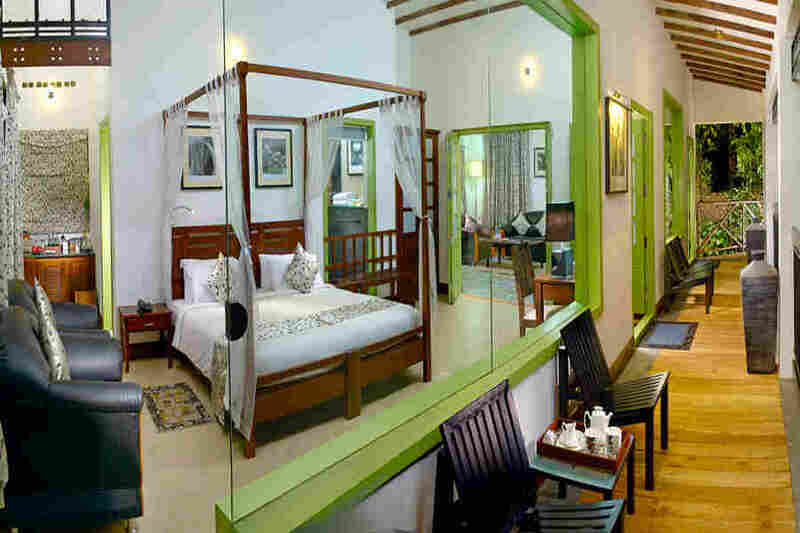 The exterior is cutting edge modern architecture coupled with traditional Kerala architecture. 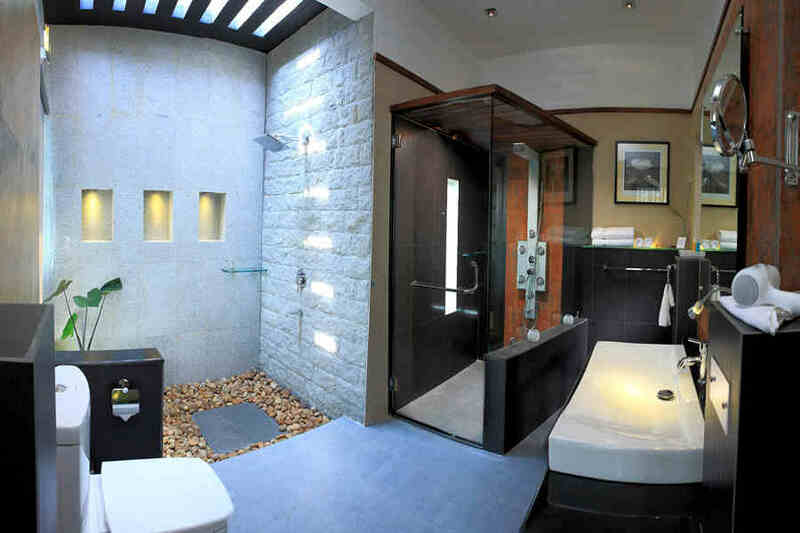 The entire property extends world-class hospitality and supreme luxury. This boutique resort is tailored to suit individuals, couples, honeymooners, or small families who want to escape into a personalized country retreat. Check in to this Scenic Plantation House At Pathumuri and see how the spices are grown, harvested, and processed. The menu at the plantation house is very special with fresh local produce from seasonal harvests being used in all dishes. As nothing is pre-cooked, true aromas and flavors make for a great dining experience. Choose from the wide array of Ayurvedic treatments for some well-deserved pampering. 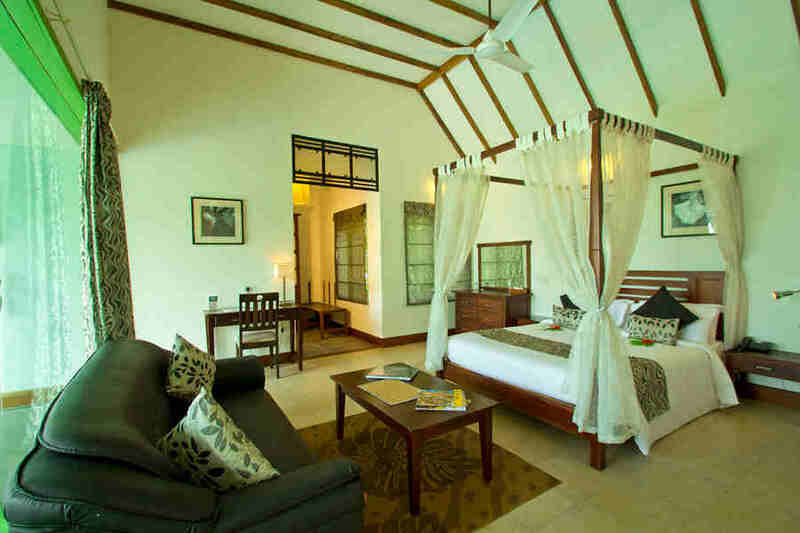 The six accommodations in this Scenic Plantation House At Pathumuri are classified as Deluxe Room, Suite, Pool Villas, and the Presidential Villa. Each of these are opulently decorated with extravagant indulgences and the interiors are done up in classic pastel shades. 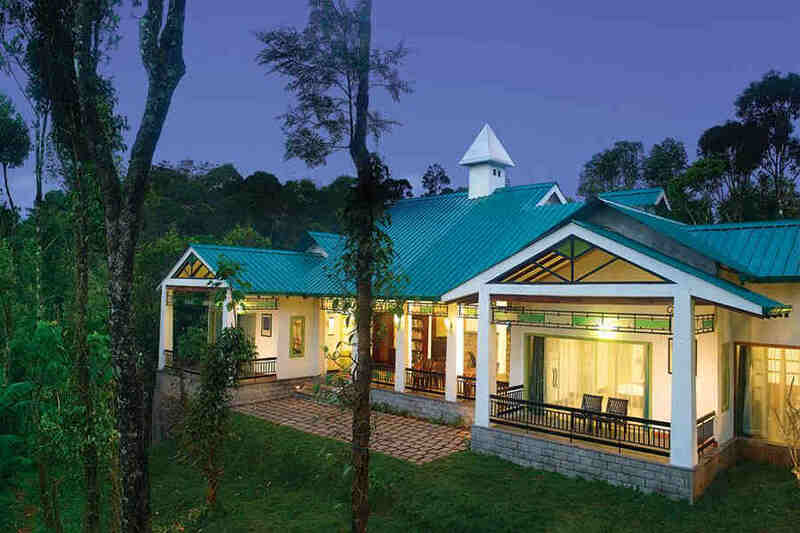 This nook in the lap of nature is ideal to kick back and relax whether it is a short weekend break or a long holiday. Meals as per Off Season (April 16- October) and Peak Season (November-15 April). A valid government approved ID needs to be shown at the time of check-in. Children below 5 stay free of charge. 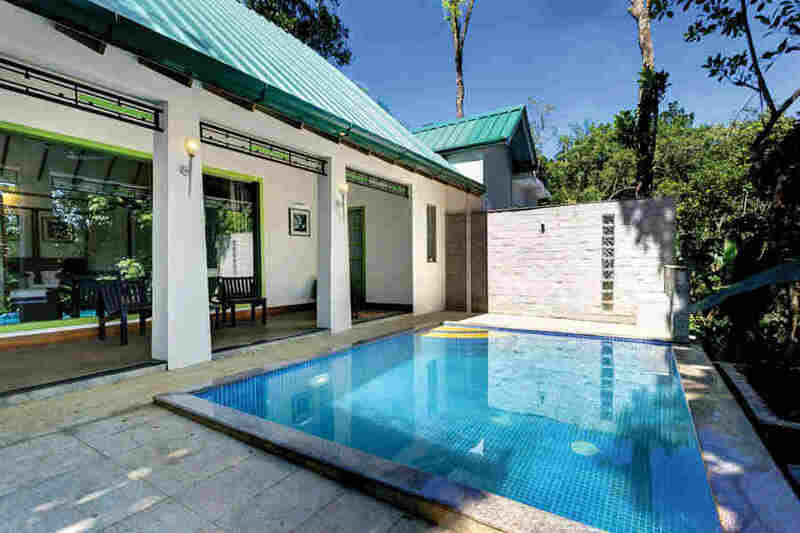 For safety reasons, children below 12 are not allowed in the Pool villas. The resort offers unique experiences such as exciting elephant rides through the plantation that can be customised as well as bullock cart rides to neighboring farms. The vineyards and farms along the way make for amazing sights and are perfect for birdwatching. You can set out on a bamboo rafting expedition through the Periyar River for a scenic treat of lush forest hills and animal sightings of elephants, gaur, and sambar. Boating on the Periyar Lake, formed by the Mullapperiyar Dam, is a major tourist attraction. The beauty of the artificial lake formed by the Mullaperiyar dam is another way of taking in the breathtaking scenery and spotting wildlife. You can also opt for a jeep safari through neighboring villages or Gavi which is an eco-tourism spot. Enjoy the unique experience of a nocturnal jungle trek accompanied by expert guides and armed guard. You can also go on a full day trek that can go up to 1300 meters altitude across an undulating terrain. And for those who love extreme adventure, there is The Periyar Tiger Trail which comprises of overnight treks lasting two to three days through the jungle led by former poachers. Kochi International airport and Madurai airport are equidistant at a distance of 144 km. Kempegowda International Airport, Bangalore, is 548 km away. Theni Railway station at 63 km is the while Usilampatti railway station is at a distance of 100 km and Kottayam railway station is at 112 km. Bangalore railway station is 517 km away. Kottayam town is 112 km and Kochi is 156 km via NH183. Coimbatore is 275 km along NH183 while Bangalore is 514 km taking NH 183 and NH 44.